Pure hiking country or laid back sensous castles, quaint medeival towns or traditions that go back hundreds of years: take your pick. Plan for at least half a day or maybe a day. For those of you who have this time at your disposal, I would lead you into the serene landscape surrounding Dresden after the guided tour of the historic part. We can head out east or west along the river Elbe. Below is an overview of the options. I would be happy to help customize your trip. A medieval town that crawls up a small hill to the oldest castle in Germany as well as the smallest cathedral. 300 years of finest porcelain, exclusive luxurious accesories for the home and Couture. Who would have known The Luxury Lifestyle Awards 2014 was awarded to this little known gem in Saxony! Take a day trip to Meissen with public transport or your car. Do a walking tour of the town and then a visit to the porcelain manufaktory to see it being made. Duration upto 5 hours depending on programme. Starting and ending in Dresden. Price depending on duration. ﻿Towering, twisted and bizzare. 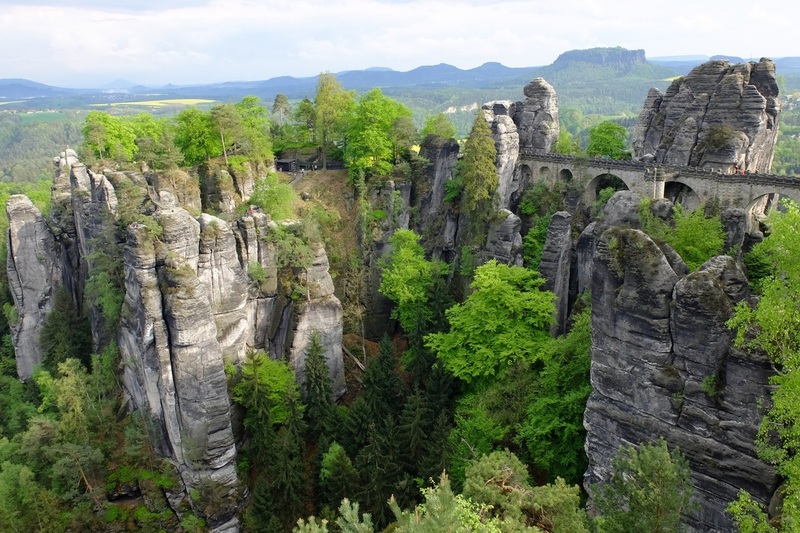 Bastei is steep sandstone outcrops from a gently sloping green valley carved out by a meadering river Elbe. Hiking, climbing, walking in the forest, or just taking in the incredible sweep of the view. Follow this up with a visit to Königstein Fortress where the the royal family took refuge in times of war. ​Pillnitz, the summer residence of the Saxon rulers was to be a little like Venice and a little like Versailles and reflect the longing for the idyllic Orient. Impossible? Not at all! Explore the sprawling landscaped gardens with their Pavillions, see rare plants, visit the palace in the chinoiserie style and then, if time permits, take a historic steam boat back to Dresden along the famous Elbe Valley. The interesting sights along the river include the romantic wine slopes from where Dresden’s wine comes from, the most expensive real estate of Europe before the World wars, and grand castles that line the river like pearls on a necklace, as well as the famous and notorious bridges and their stories. Dramatic against the evening sky Moritzburg Castle was a place for the coming together of noblemen hungry for the hunt. Filled with hunting trophies, marooned amidst a vast man-made lake where mock sea battles were fought, Moritzburg, rebuilt in the baroque style in the 17th Century is an imposing structure in the midst of the grandeur of nature. 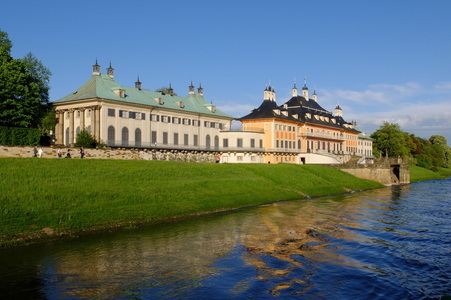 Moritzburg can be reached by bus or by the romantic narrow gauge train. See how wine is made and follow it up with wine tasting in the elegant State Winery. The guided tour can be limited to just the winery or can also include the picturesque area of Radebeul. Accessible by public transport as well. Duration upto 3 hours depending on programme and mode of transport. Starting and ending in Dresden.